An increasingly popular alternative to more traditional French Doors and patio doors, the multi-fold door system can offer so much more - improving open plan living and bringing a modern contemporary feel to almost any home. The multi-fold door is a sophisticated door system which meets the demands of almost any property, enabling you to choose the number of panes to suit your needs. Multi-fold doors can accommodate the very latest high performance handles, hinges and locking mechanisms which we can advise you on to ensure you get the best possible options. 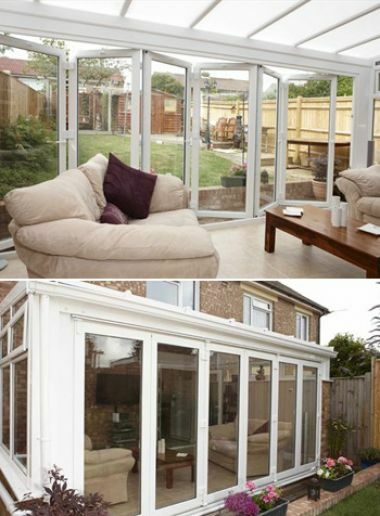 Aluminium frames are becoming a very popular material for our Bi-Folding door range. Aluminium is lightweight yet very strong along with offering very little long term maintenance it gives the perfect material for our Bi-Folding doors. To find out more about our aluminium bi-folds call us for additional information or even a free quotation.